The US stocks surged for a second straight session on Monday as Wall Street believed that the possibility for the US Federal Reserve to raise interest rates this year becomes lower after a poor jobs report. 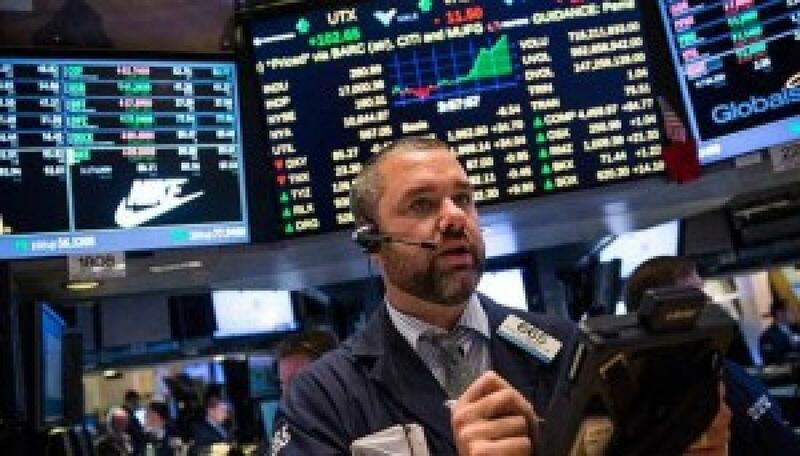 The Dow Jones Industrial Average leapt 304.06 points, or 1.85 percent, to 16,776.43. The S&P 500 jumped 35.69 points, or 1.83 percent, to 1,987.05. The Nasdaq Composite Index advanced 73.49 points, or 1.56 percent, to 4,781.26, reports Xinhua news agency. The US total non-farm payroll employment increased by 142,000 in September, well below market consensus of 203,000, the Labour Department announced on Friday. Analysts thought that a soft jobs report could give the Fed some reason to postpone rate hikes. The US Non-Manufacturing Index also came out weaker-than-expected on Monday. The Index registered 56.9 percent in September, lower than the August reading of 59 percent and below market expectations of 57.5 percent, said the Institute Supply Management (ISM) in its monthly survey. "Services are far more important to the US economy than manufacturing; as long as the spillover effect from a slowdown in manufacturing does not weigh too heavily on services, the economy will continue to steadily produce jobs and growth into the fourth quarter," said Jay Morelock, an economist at FTN Financial, in a note. Adding more optimism into the market, overseas shares saw a broad-based strong rally on Monday. European equities soared as a weak US employment report dampened expectations that the Fed would start raising interest rates soon, with French benchmark index CAC 40 jumping 3.54 percent. In Asia, Tokyo stocks jumped 1.58 percent Monday as investor sentiment was lifted by gains in the US equities before the weekend, while the Chinese stock market was still closed for the country's seven-day National Day holiday. Meanwhile, investors keep an eye on the third-quarter earnings reporting season, which will kick off later this week. On Friday, the US stocks reversed deep losses to end sharply higher as investors digested the soft non-farm payroll report. The CBOE Volatility Index, often referred to as Wall Street's fear gauge, fell 6.69 percent to end at 19.54 on Monday. In other markets, oil prices continued to rise Monday as data signalled that the US crude output is contracting. The West Texas Intermediate for November delivery moved up 72 cents to settle at $46.26 a barrel on the New York Mercantile Exchange, while Brent crude for November delivery increased $1.12 to close at $49.25 a barrel on the London ICE Future Exchange. The US dollar increased against most major currencies Monday despite soft economic data from the country. In late New York trading, the euro fell to $1.1180 from $1.1225 in the previous session, while the dollar bought 120.47 Japanese yen, higher than 119.88 yen of the previous session. Gold futures on the COMEX division of the New York Mercantile Exchange extended gains on Monday as weak US jobs data continued to ease fears that the Fed would hike rates in 2015. The most active gold contract for December delivery went up $1, or 0.09 percent, to settle at $1,137.60 per ounce.